An individual holding the Permanent Residence Permit issued by the Department of Immigration of Bahamas will enjoy the right to live and work in the country until his or her death provided the permit is not revoked. The application procedure for obtaining Permanent Residence Permit through investment is given below. Financially independent individuals or investors who have purchased a residential property in Bahamas can apply for the permit. Although there is no minimum investment prescribed, the Department of Immigration clarifies that applications of those purchasing property worth BS$1.5 million or more will get speedy consideration. The applicant must fill the Permanent Residence Application Form providing financial details including annual income, investments in the Bahamas, real estate owned in the country, and future planned investments in the country. The application must be notarized by a lawyer or Justice of the Peace. Original Birth Certificate. The document should be certified if it has been translated into English. The translation should be sealed by the appropriate Consular Office with a BS$10 postage stamp. Marriage certificate of the applicant. Birth certificate of the spouse. Police certificate of character in original. The certificate should be dated not more than six months prior to the date of submission of the application. Original medical certificate that is dated not more than 30 days prior to the submission of the application. Copy of the bio-data page of the passport of the applicant. Two character references written by Bahamian citizens who are known to the applicant for a period of at least five years. This certificate must be submitted in original. Birth certificate and marriage certificate of the parents of the applicant. Marriage certificate if the applicant is married. Divorce decree if the applicant is divorced. Death certificate of spouse if the applicant is a widow/widower. Financial statements issued by the financial institution of the applicant verifying the economic worth of the applicant and stating a figure range of the applicant’s financial status. Subject to submission of all necessary documents and accurate information in the form, the applicant can seek an update after a period of 3-4 weeks after the submission of the form. 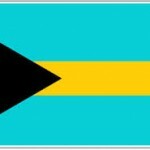 The investor can apply for Bahamian citizenship after holding the status of a permanent resident of the Bahamas for a period of at least ten years. The immigrant must have resided in the country for a period of at least six years out of the aforesaid ten years. Further, the applicant must have resided in the country for a period of twelve months preceding the date of application. The applicant is required to submit all the documents required for the processing of the Permanent Residence Permit along with a non-refundable fee of BS$100.00. The applicant will normally receive a response within 3-4 weeks.